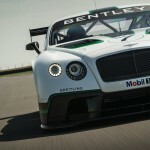 Bentley’s Continental GT-based race car was first unveiled in concept form at the 2012 Paris Motor Show. 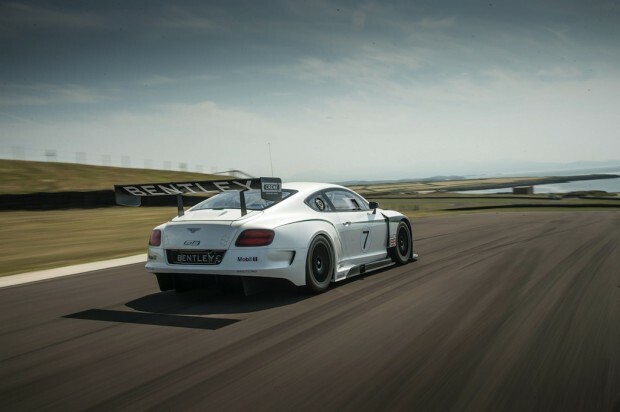 Now, the Continental GT3 has made its world debut in its final form at the Goodwood Festival of Speed, where the bigger than usual race car made a dramatic run in the famous hill climb event. The Continental GT3 has an even more aggressive design than the original concept, with a new air dam and splitter extending even further forward and a huge rear wing now mounted to the trunk lid instead of the rear of the car. The engineers from Bentley’s skunkworks division have waved their magic wands and managed to make over 1000 kilograms of weight disappear off the base model. Even with the addition of the comprehensive aerodynamics package, that results in a sub-1300 kilogram weight. The Continental GT’s 4.0-liter V8 engine has been pushed to the back of the engine bay and paired with a carbon-fiber propshaft to drive the rear wheels. 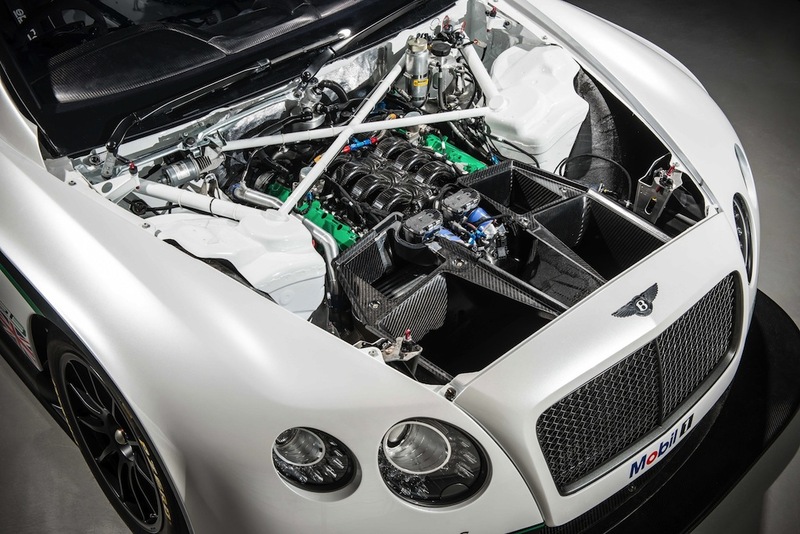 It’s now tuned to produce a mammoth 600 horsepower. The engine is mated to a new gearbox – an Xtrac six-speed sequential, with a limited slip differential and pneumatic shifting, controlled via steering wheel paddles. A near-perfect weight distribution of 52-48 and double wishbone suspension at both ends of the car make it very capable in the corners, especially for a car of its size. Four-way adjustable dampers, hydraulic power-assisted steering and 18-inch OZ Racing Wheels also find their way on to the British race car. Stopping duties are handled by ventilated iron discs on all wheels, combined with six-piston calipers on the front end, and four-piston calipers on the rear. 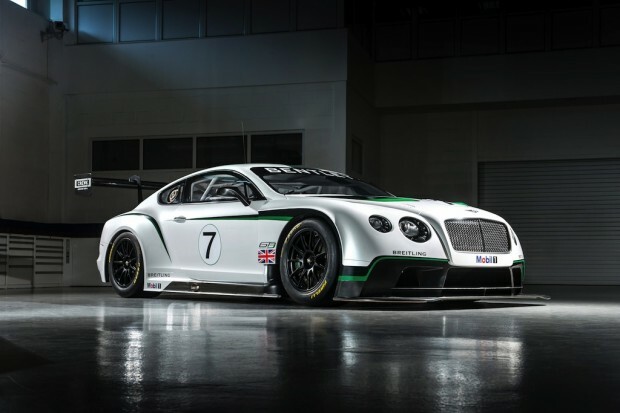 The Continental GT3 will start testing later this year before entering the world of endurance racing in the FIA Blancpain Series in 2014. The competitive series was established in 2011 and currently enjoys five races taking place in Europe. Rival GT3 contenders will include the likes of the McLaren 12C GT3, Mercedes-Benz SLS AMG GT3 and the new Lamborghini Gallardo GT3.